Jacqueline Fahey has been an integral and dynamic contributor to the New Zealand art scene since the 1950’s. She is a distinguished painter and is especially known for her paintings of domestic subjects and suburban life. Her paintings are largely autobiographical. They are vibrant in colour and rich in narrative. Fahey has exhibited regularly in New Zealand and in 2007 her work was selected for the prestigious 100 feminist artists exhibition held at the Los Angeles Museum of Contemporary Art. Fahey is also an author and her recent book, Something for the birds (2006) is a memoir, which traces her heritage back to Irish ancestors. Born in 1929, she was a member of the renowned group of Canterbury women artists that, in the 1960s and 70s, included Rita Angus and Evelyn Page. Fahey is well known as one of the first New Zealand artists to paint from a woman’s perspective, using selected subjects and methods to express her feminist concerns. Born in Auckland in 1952, Ball is known for his hyper realistic paintings and drawings. He studied at the University of Auckland School of Fine Arts and completed a Masters there in 2001. 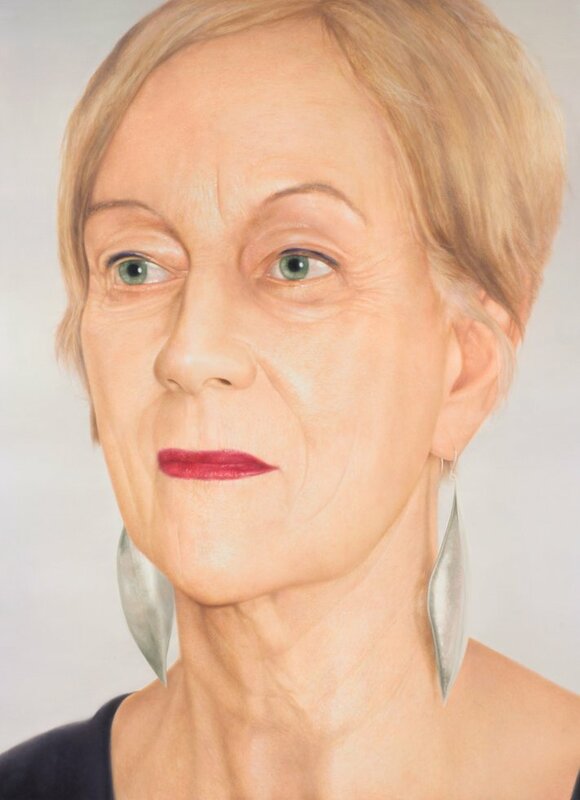 Although early works included subjects influenced by American pop artists and still life, he has always been interested in portraiture and began to focus on it in 2000 with an exhibition of five large portraits of New Zealand artists. Since then, Ball has continued his investigation into portraiture and scale. He has had regular solo exhibitions in New Zealand since 1975 and has been represented in numerous group exhibitions. This is his fourth time in the Archibald Prize.